As you all know, from last weeks blog story, I had a wonderful time with my son during our recent trip to NYC. 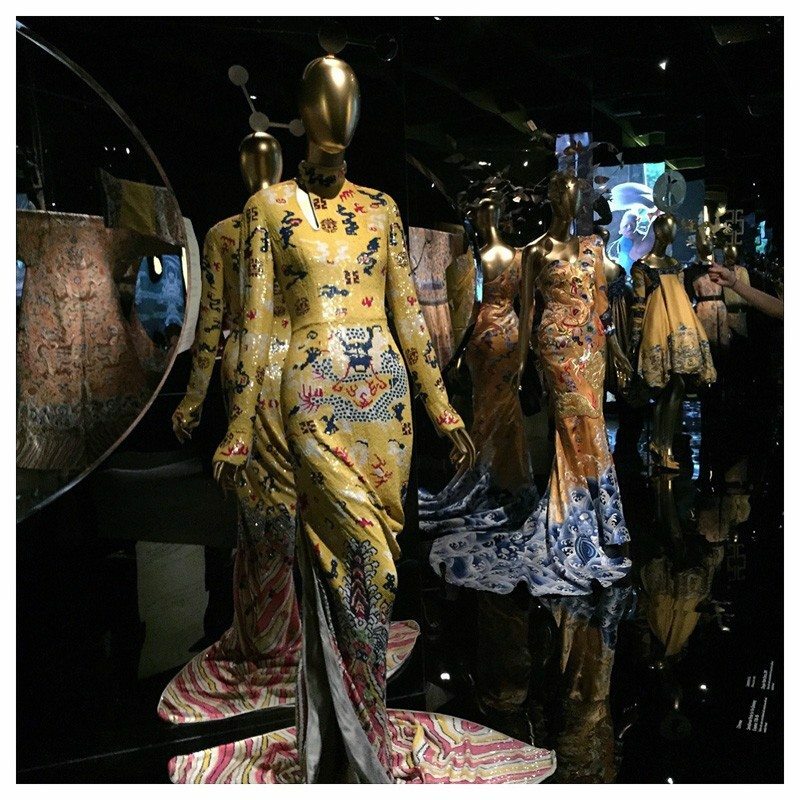 As I mentioned then one of the highlights of the trip for me, was to see the “China Through The Looking Glass” exhibit at the Met. 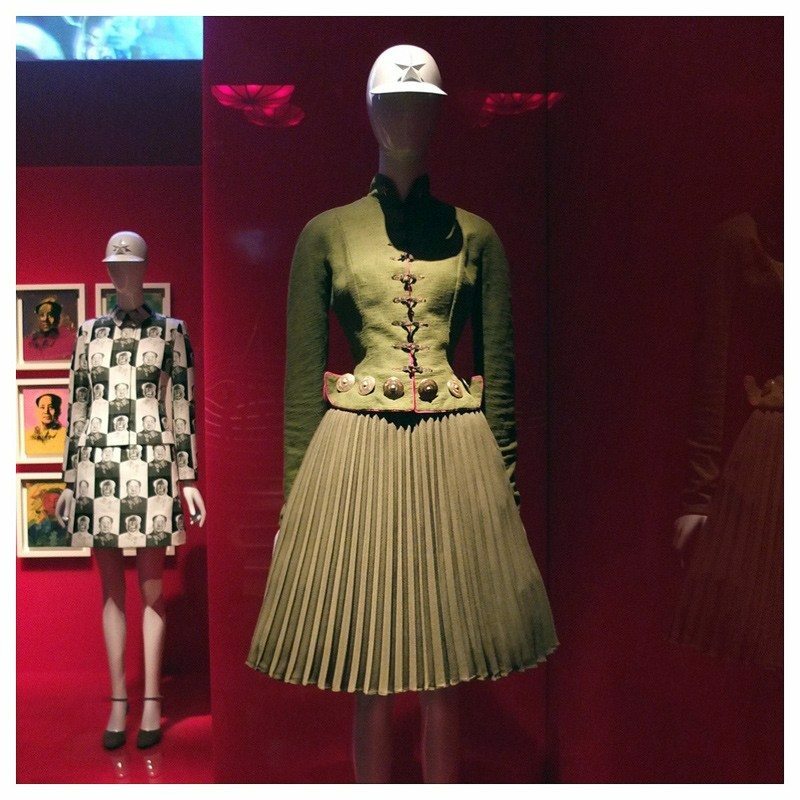 This exhibit which opened in May and runs until August 16th, is huge and it was unfortunately very difficult to see all of it, let alone write about it especially when I was walking it with an 18 year old young man who is interested in fashion but not to this level. He was my photographer for the trip and even though he tried, it was very difficult to get good quality pictures inside because of the different levels of lighting and with it being so dark inside in some areas. 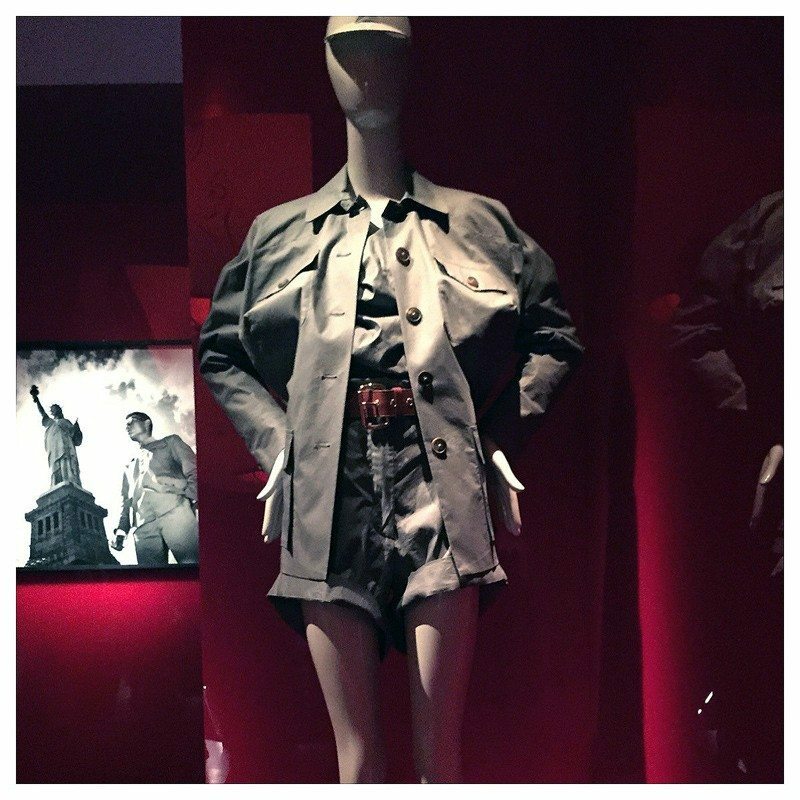 Nevertheless I wanted to share our pictures with you and tell you if you are going to be in NYC this summer make sure you visit this exhibit as it is well worth seeing especially close up and in person. 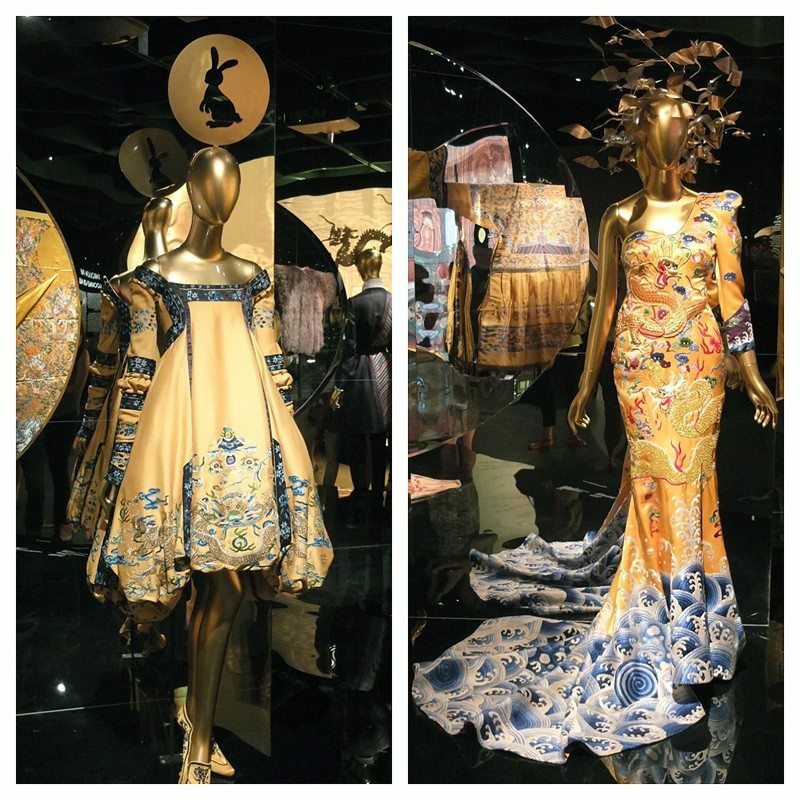 The show is named after Lewis Carroll’s novel and it focuses on the wide-reaching influence that Chinese art and film have had on western fashion. 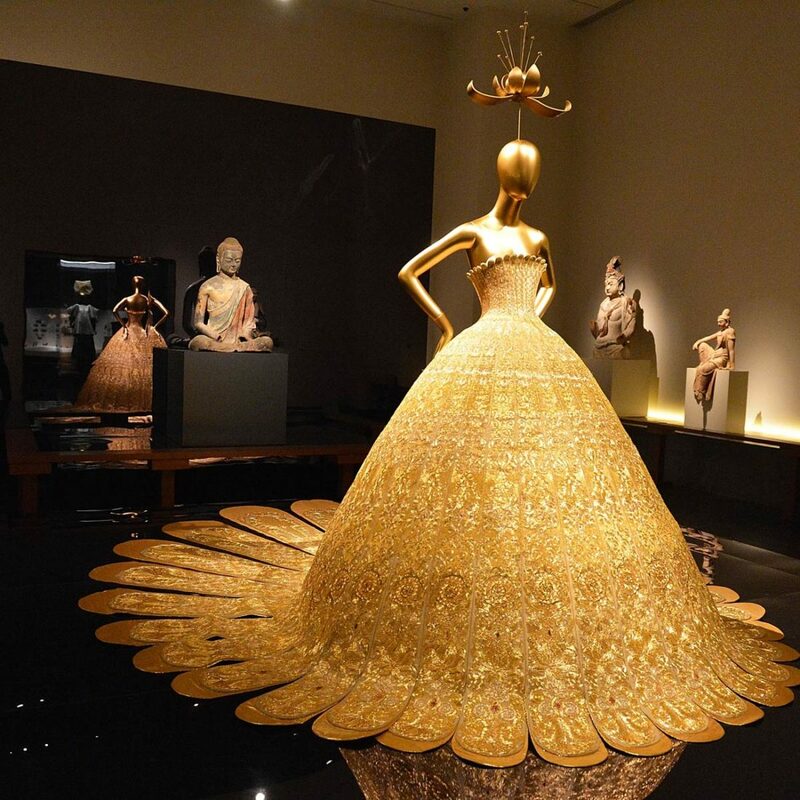 The show is not about China according to Andrew Bolton, the curator at the Met, its about the collective fantasy of China and how it is represented in western culture, primarily fashion and cinema. 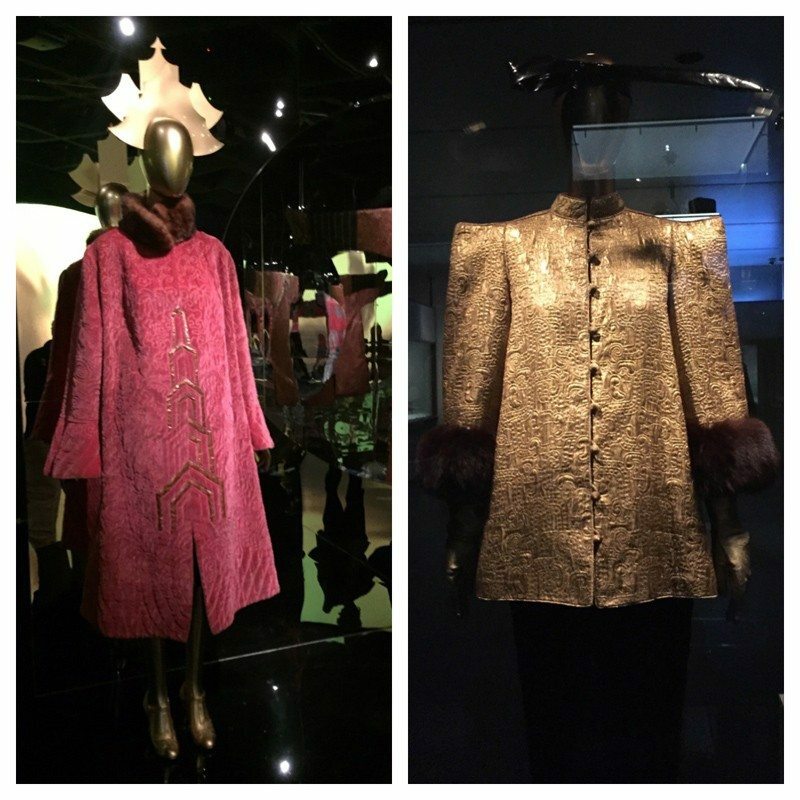 This exhibit comprises of over 140 high-fashion pieces from Dior, Chanel, Yves Saint Laurent and more – all placed alongside their one of a kind Chinese inspirations. 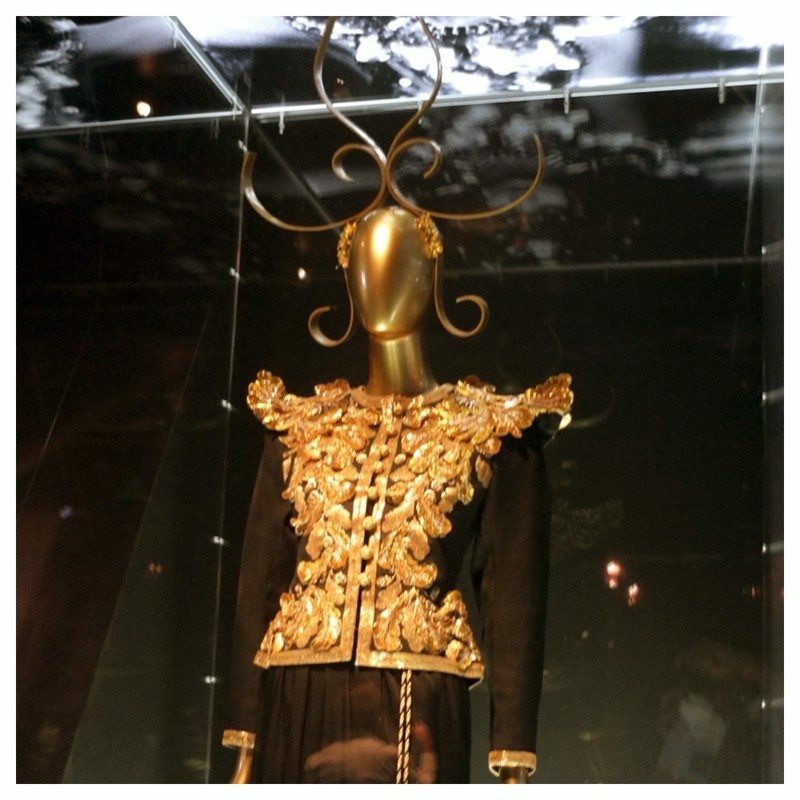 Over the years, many designers have based entire collections on Chinese culture, including YSL’s fall/winter 1977 couture collection and his launch of the “Opium” fragrance. 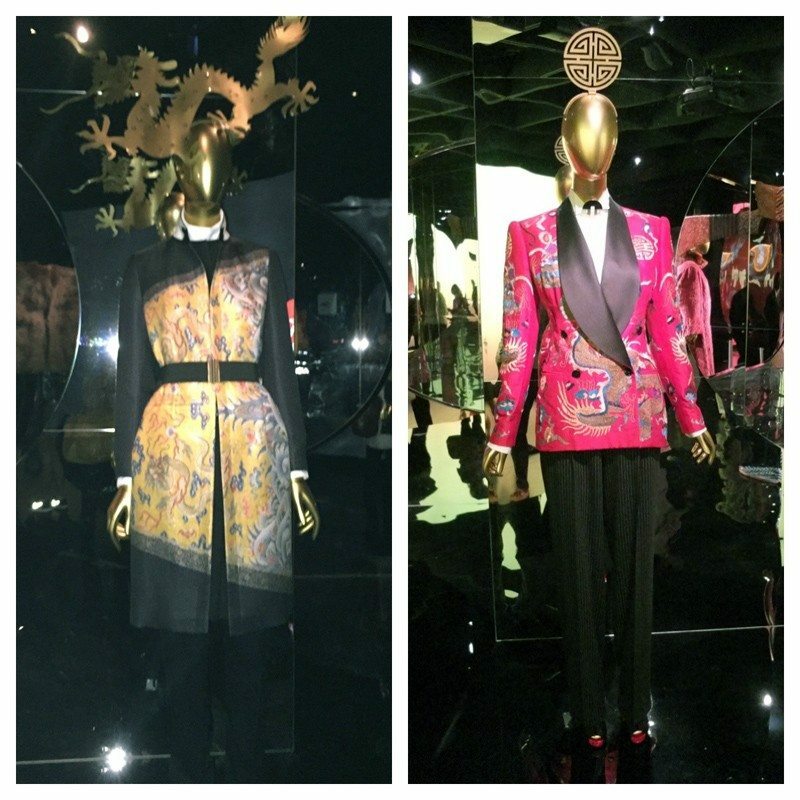 Another example is Valentino’s all red Shanghai collection from 2013, both of which are partly displayed at this exhibit. 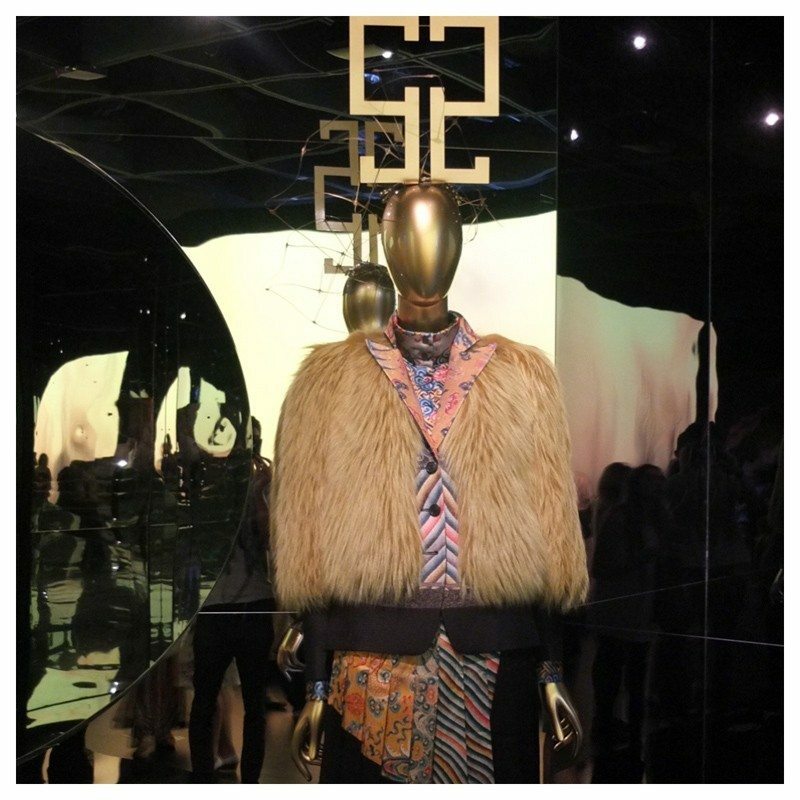 There are also some beautiful intricate Beijing opera and kabuki inspired pieces by Maison Martin Margiela and John Galliano for Dior on display in a pool of water, which I thought were so amazing. 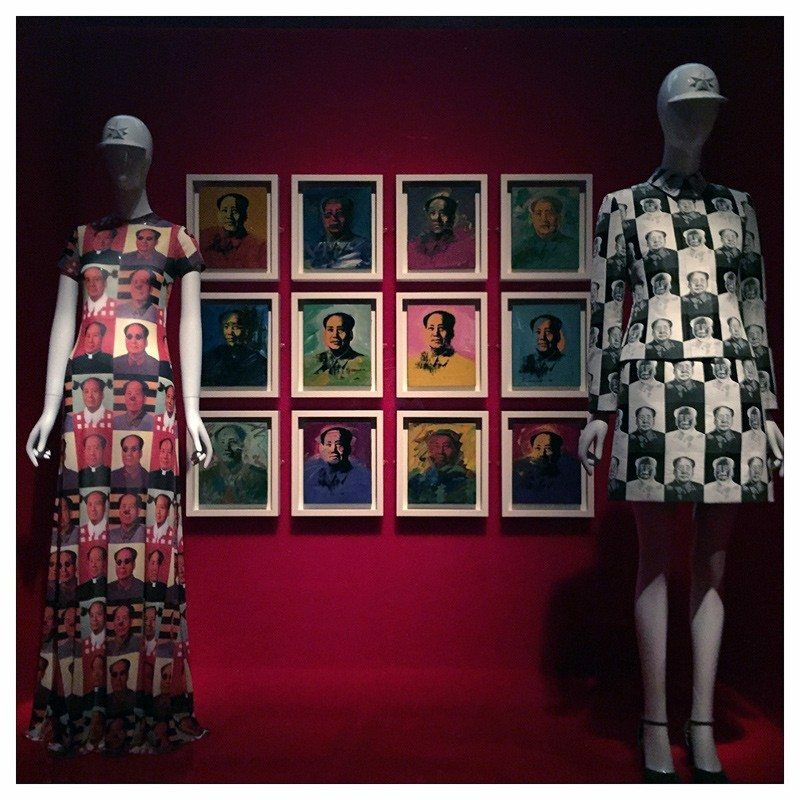 Going even further back, Chinese export silks and wallpapers were a source of inspiration for Cristobal Balenciaga throughout the 50’s and 60’s. 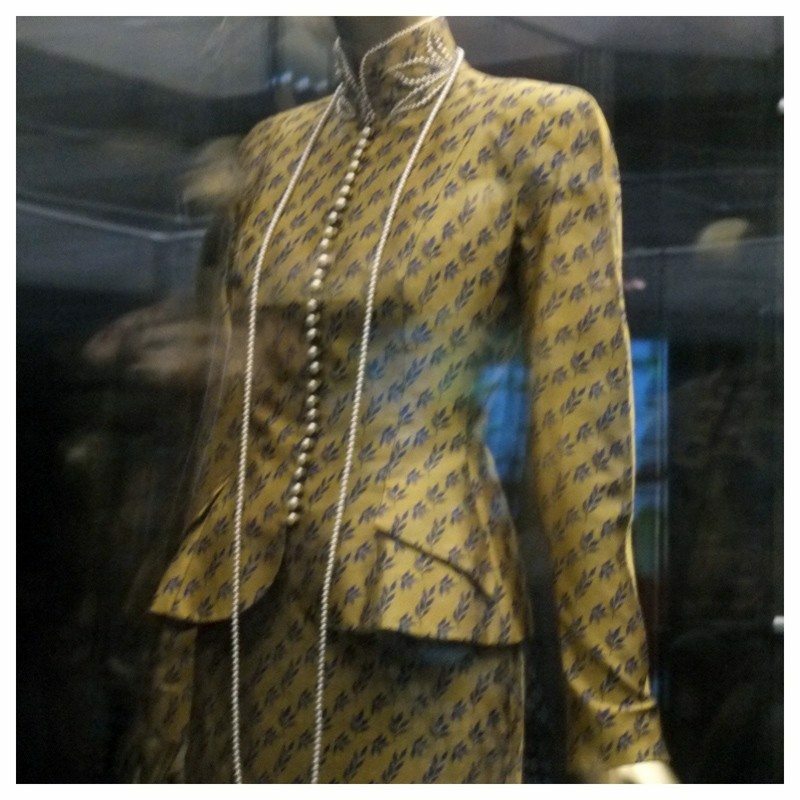 Also blue and white porcelain pieces have been used in many designer works including Rodarte, Karl Lagerfeld for Chanel and Roberto Cavalli some of which are on display as well. Below you can see some of our photos and a video about the exhibit. As I said our photos do not do justice to this exhibit and how beautiful the pieces are but at least you can get an idea of what we experienced. I hope you enjoy them and I would love to know if anyone else has seen this exhibit? This should be the amazing exhibition. I wish I could see it in person. It truly was, thanks for stopping by. 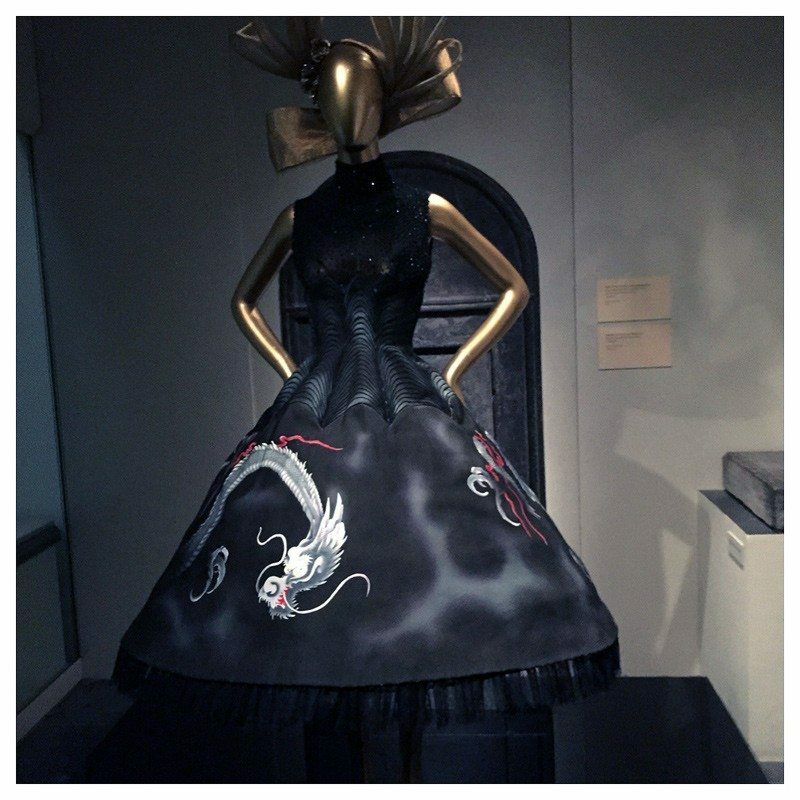 Wow what a fantastic exhibtion Nora that first dress is just stunning. It certainly was, I am so glad I saw it. Thanks for stopping by. Oh how I wish I could see it for myself. Thanks for sharing it with us, Jill. These pictures are stunning. Amazing! 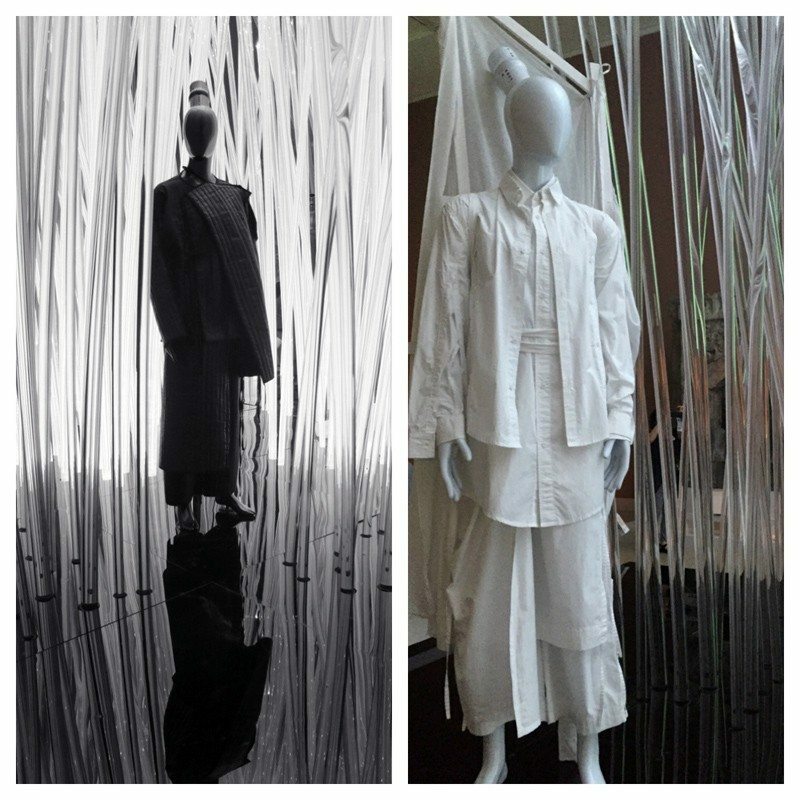 I saw this exhibit last month….your pictures are beautiful! I am so glad you saw it! Thanks for stopping by. Thank you so much, it was really beautiful to see. I totally agree, there is never enough time, but I am glad we got to see this. Thanks for stopping by. Oh I wish I could see this in person! What amazing exhibit! It sure was…thanks for stopping by. Yes they were, it was well worth seeing. Thank you for stopping by. Yes it was…thanks for stopping by. Everything looks absolutely stunning! I’m hoping to make it to the exhibit before the summer ends! Yes it is a beautiful exhibit, make sure to catch it before it ends. Thanks for stopping by. That is a very good question and unfortunately I dont know the answer 🙂 Thanks for stopping by. Yes it was, thanks for stopping by. What an amazing exhibit to see in person! Yes it sure was, thanks for stopping by.